Acree Air Conditioning has been installing air conditioners for your neighbors in the Tampa area since 1967. We follow strict installation guidelines to ensure that your equipment lives up to its efficiency claims and maintains its manufacturer warranties. You control your thermostat so why shouldn’t you control the buying process. Unlike many companies, we are not going to force you to sit through a long, boring sales presentation that is all designed to “high-pressure” you into buying. We do business on your terms and will happily provide you with an air conditioning replacement estimate over the phone, through email, or in person. Your system, your choice, your way! Your air conditioner doesn’t know what day or time it is when it decides to quit so we have “Emergency Response Teams” available 7 days a week, from 7AM-11PM to install your system when you need it replaced. We have several local warehouses fully stocked to ensure that we have the system you want, when you want it. We complete 95% of our installations in a single day and can often install your new system the same day you buy it. Many companies will tell you that the “most important day in the life of your air conditioner is the day it’s installed.” We believe that it starts well before and extends long after that day. Our processes and procedures insure that your system is installed correctly. Each installation has two supervisors, one in the field and one in our office, overseeing each step of your installation. Installers complete a field checklist at 5 distinct points during the installation and take pictures at 16 critical points. These checklists and pictures are uploaded to our office and then reviewed by auditors in real time to ensure the quality of your installation. 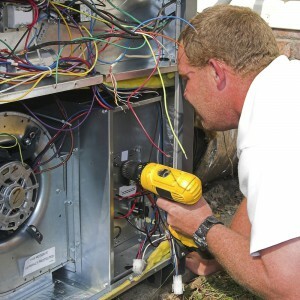 A/C replacement or an air conditioning replacement estimate can vary because every home and every budget is different. For that reason, we carry several air conditioning brands. There is really no “best brand” for every homeowner. Most manufacturers use the same components to build the system and they all come with very similar warranties. The size of your home, location of the indoor and outdoor equipment, budget, expected lifespan, and features that are important to you will help determine the best brand for you. Sadly, over half of all new air conditioning systems are improperly installed. Don’t let that happen to you! Call Acree at once for a properly installed HVAC system that conforms to best practices and provides top comfort and efficiency. Schedule air conditioning replacement and installation service with Acree Air Conditioning at 1-800-937-6736 or by filling out our online form.